serves 27 stakes and more than 93,000 church members, from Mapleton to Delta, with access to temple services who were part of the Provo Temple or the Manti Temple districts. Design and decor are based around the motif of an apple blossom, inspired by local apple orchards. 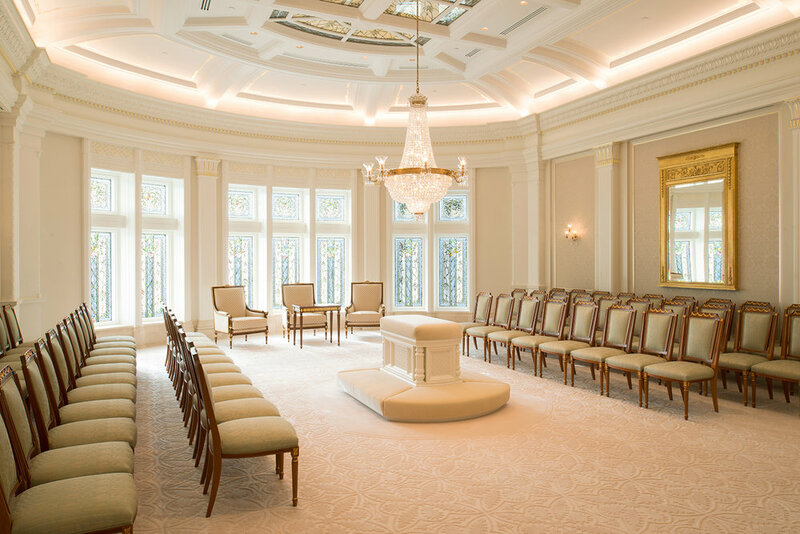 The temple contains a baptistry, seven sealing rooms and three endowment presentation rooms. Primary materials include precast concrete, African mahogany and stone from Spain, Portugal and Turkey.